If you’ve damaged your braces, you might not need to schedule a special appointment with Dr. Hage. Many issues that come up during orthodontic treatment can be resolved at home with wax, tweezers and nail clippers. Continue reading to learn how to resolve tooth pain, cheek irritation, broken brackets, and more. 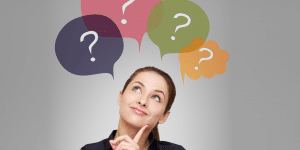 Our staff is always available to answer any questions you might have between appointments. During the course of treatment, we’ll make slight adjustments to your braces to ensure your teeth and jaws move into optimal alignment. Since dental braces exert pressure on your teeth, you will feel slight pain or discomfort several hours after your appointment. We recommend taking over-the-counter pain relievers (such as Ibuprofen) right before your appointment. That way, the pain reliever has a chance to work before we adjust your braces. It is also a good idea to eat soft foods after your appointment, such as mashed potatoes, pasta, etc. After getting braces initially, we’ll give you some wax in case the brackets irritate your lips and cheeks. Simply pinch a pea sized piece of wax and squeeze it between your fingers to soften it. Next, gently push the wax on the top of the offending bracket. Many of our patients use wax before meals to avoid irritating the soft tissue while eating. Since wax isn’t medicated, it’s harmless if accidentally swallowed. During orthodontic treatment, you’ll need to avoid sticky foods such as caramel. Otherwise, the small elastic ties that hold the arch wire in place can come loose or fall completely off their brackets. We recommend using tweezers to slide the elastic tie back onto the corners of the bracket, if you cannot get the tie back on with the tweezers, contact our office. If you play contact sports, let us know so we can give you a mouth guard. A mouth guard for braces forms a protective layer around your teeth so you won’t need dental attention the next time you’re tackled on the field. A bracket can also come loose after biting into hard foods, like whole apples and carrots, so try to avoid hard foods and candies. Most patients don’t realize that a bracket is loose until they go to brush their teeth and notice that the bracket is off-center on the tooth. 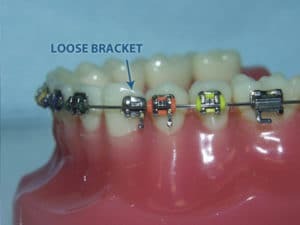 If a bracket comes loose between appointments, you’ll need to schedule an appointment to have it replaced, or if you’re next appointment is in the upcoming week or so, we’ll just repair it at that appointment. In the meantime, use tweezers or your fingers to slide the bracket into its proper place. If you have a wire protruding off the end of your last bracket, use a small nail clipper to try to trim the excess. We recommend using a folded tissue to isolate the piece of wire from your gums before trimming. If the excess wire isn’t long enough to trim, place a pea sized piece of wax between the wire and your cheek. Hage Orthodontics is dedicated to helping you achieve your best smile with braces. To schedule a consultation with Dr. Hage call 217-234-4734 or 217-347-5576. Crooked teeth affect millions of people all over the globe and can be the bane of teenagers and adults alike. But why do teeth become crooked – and if they start to head off in different directions what can be done about it? Genetics can have a big impact on your chances of inheriting misaligned teeth or jaws, and if your parents have crooked teeth there’s a strong possibility that you might too. A small jaw can also increase your risk of crowded teeth, simply due to lack of space. The early loss of both adult and baby teeth can affect the position of your remaining teeth, causing them to drift into available gaps. 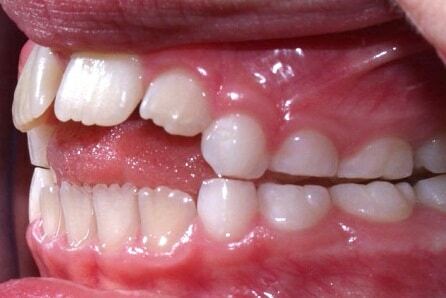 Sometimes baby teeth can be replaced by larger adult teeth that overlap and crowd together due to limited space. Ill fitting dental restorations such as crowns and bridges can occasionally put pressure on teeth and cause them to move. They can also affect the way your teeth bite together. If you start to experience any problems as a result of a restoration get in touch with your dentist as soon as you can. Habits such as thumb sucking put pressure on your teeth (much like braces) – forcing them to move into a different position. Typically thumb sucking will result in an open bite (pictured) and you’ll have a gap where the upper and lower teeth don’t bite together. Any problems with your gums such as injury or disease can eventually impact your teeth. Gum disease can cause teeth to become loose and change their alignment as well as your bite. Time can also take its toll on the position of your teeth. As we age our teeth can have an unfortunate tendency to drift forward and become more crowded. Contrary to popular belief your wisdom teeth are not to blame. The real cause is your jaw bone, which looses density over the years and changes shape, encouraging teeth to crowd towards the front of your mouth. If you suffer an injury to your face the force could cause your teeth to move and become misaligned. A trauma could also affect the position of your jaw or damage your gums, which in turn could cause your teeth to shift. 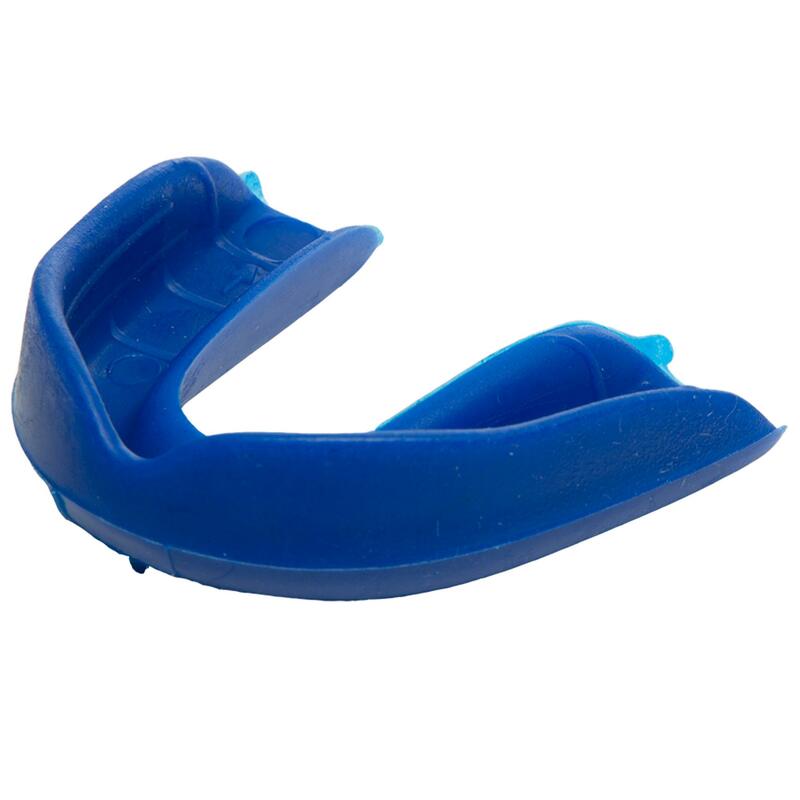 To reduce the risk of a trauma to your teeth, we advise our patients to wear a mouthguard (pictured) during contact sports such as football or hockey. Among orthodontic patients, the biggest cause of reoccurring crowding (orthodontic relapse) is undoubtedly the absence of retainers. 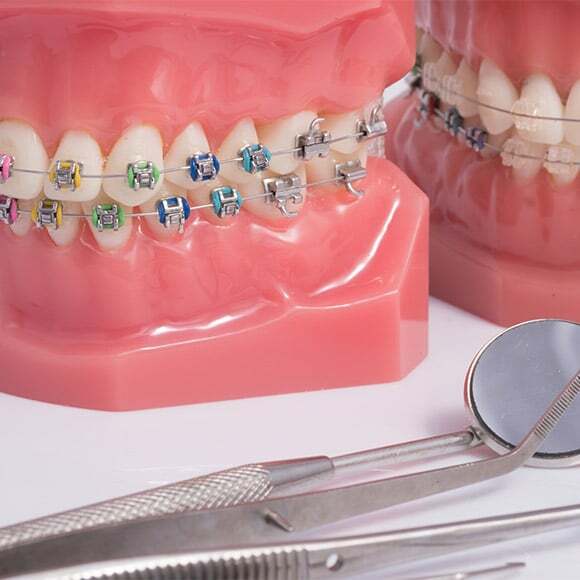 For as long as you want your teeth to stay straight after wearing braces, you will need to follow your orthodontists’ instructions and wear your fixed or removable retainer. Thankfully, whatever the cause of your crooked teeth, there is a solution. Braces are a very effective way to straighten wayward teeth. If you wear your retainers regularly, your teeth will remain straight for many, many years. To find out more, browse our website, or, if you’re ready to take the next step, get in touch with us to arrange a free consultation. If you are thinking about getting braces or already have them, you are probably curious about what braces are actually made of and how they work. The three most popular ways to straighten teeth are traditional (metal) braces, ceramic braces and Invisalign. Each of these are made differently and work in different ways to straighten teeth. Brackets (either traditional or passive self-ligation systems)- the brackets are metal and are placed directly on the teeth using special glue. Traditional brackets have a place for the elastic tie to be wrapped around them. Passive self-ligation systems are brackets that use “sliding door” technology, allowing the wire to move as needed instead of being tied with an elastic tie. Archwire – the archwire is also made of metal and is a thin wire connecting the brackets together. The wire puts pressure on the teeth, which gradually guides them into the desired position. Elastic ties – these elastic ties are wrapped around the traditional brackets to keep the wire in place. They come in a variety of colors that you can choose from and are changed each time you have an orthodontic appointment. These brackets are made from non-porous alumina compounds, rather than metal. They are either clear or a color that closely matches your tooth color and are bonded (glued) to the teeth. They still utilize a metal archwire and elastic ties, but the archwire is “frosted” with white to blend in more closely with the color of your teeth and brackets. The elastic ties would normally be clear. These braces work in the same way as traditional braces, although some orthodontists warn that they can take a bit longer than metal braces. Ceramic braces require a little more care to keep clean. These are clear, plastic aligner trays that are produced for each individual based off of an impression(model) of the patient’s mouth. The orthodontist will take photos and an impression to send to Invisalign. Aligner trays have to be changed frequently; every seven days on average. Now that you know all the ways to straighten teeth and how they are made, contact us at Hage Orthodontics to set up a consultation where we can help you decide which method is best for you! Parents are often the first to recognize that something is not quite right about their child’s teeth or jaws. A parent may notice that the front teeth don’t come together when the back teeth are closed, or that the upper teeth are sitting inside of the lower teeth. They may assume that their dentist is aware of the anomaly and that he/she will make a referral to an orthodontist when the time is right. 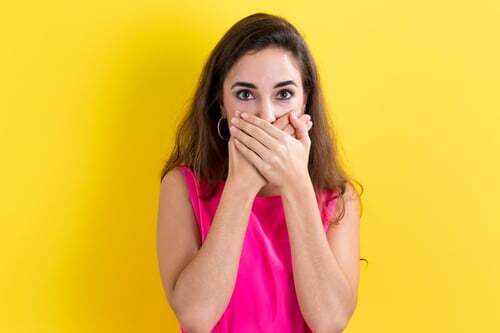 A referral might not happen if the dentist isn’t evaluating the bite. Dr. Hage does not require a referral from a dentist to make an appointment with him. Dentists and orthodontists may have different perspectives. Dentists are looking at the overall health of the teeth and mouth. He/she could be looking at how well the patient brushes and flosses or if there are cavities. While dentists look at the upper and lower teeth they may not study how the two arches make contact. Orthodontists are looking at the bite, meaning the way the teeth come together. This is the orthodontists’ specialty. Orthodontists take the upper and lower jaw into account. Even if the teeth appear to be straight, mismatched jaws can cause a bad bite. A healthy bite is the goal of orthodontic treatment. A healthy bite denotes good function – biting, chewing and speaking. It also means teeth and jaws are in proportion to the rest of the face. Dr. Hage recommends children get their first checkup with an orthodontist between the ages of 7 and 9. Kids have a mix of baby and permanent teeth around age 7. 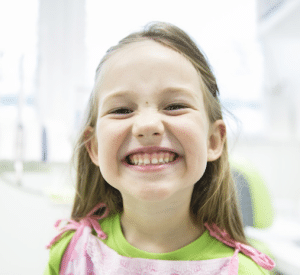 Dr. Hage is uniquely trained to evaluate your child’s growth as well as the exchange of baby teeth for permanent teeth. He is expertly qualified to determine whether a problem exists or if one is developing. Hage Orthodontics offers a no cost, no obligation initial exam. Visit hageortho.com or call one of our conveniently located offices today to schedule a free consultation. Dr. Hage is an expert in orthodontics and dentofacial orthopedics (properly aligned teeth and jaws) and possesses the skills and experience to give you your best smile. around since ancient times. Even in ancient times, they were trying to invent devices to improve the position of teeth. Here is a brief history of orthodontics. The history of orthodontics starts back in ancient Greece and Rome. Aristotle and Hippocrates had knocked around ideas for straightening teeth even as far back as 400 and 300 BC and archaeologists have proof that the Etruscan’s used appliances to maintain spaces and prevent collapse of teeth because they buried their dead wearing them. Also, in a Roman tomb a dental device was found along with documentation on how it was used. 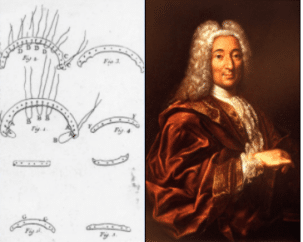 Pierre Fauchard, a French dentist in the 18th century who is considered the father of modern dentistry, wrote a book in 1728 about methods for straightening teeth. He also was known to use a device called a ‘bandeau’ to widen the upper palate. A few years later in 1754 another dentist, Louis Bourdet published his own book where he suggested improvements to the bandeau. He is also considered the first dentist to extract bicuspids to reduce tooth crowding. It wasn’t until the 19th century that orthodontics was defined as a separate dental specialty. The term orthodontia was first used in 1841 by Joachim Lafoulon. In 1819 the first wire crib was used. Also materials like precious metals, steel, gum rubber and vulcanite were used to create loops, hooks, spurs and ligatures to straighten teeth. In addition, the first elastics for braces were used by E.J. Tucker in 1850. Edward Angle founded the American Society of Orthodontia in 1901, which was renamed the American Association of Orthodontists in the 1930’s. Angle also developed the first classification system for malocclusion. By the 1960’s gold was a popular material for braces. Before the 1970’s, braces were wrapped around the teeth, but by the mid-70’s orthodontists began directly adhering the brackets to the teeth. With all the advances in technology, the field of orthodontics has grown in leaps and bounds in the last twenty years. We now have digital xrays and 3D dental imaging. These produce better quality x-rays and allow orthodontists to get a more detailed look at the structure of the mouth. Because they are digital, orthodontists can gain immediate access to the images. Another plus is that there is less radiation exposure with these types of xrays. There are many more options for braces today. Metal braces adhered to the front of the teeth is still the most common treatment, but for people who are concerned about the braces being noticeable, there are other options like ceramic braces and clear aligners. The average time for wearing braces is 2 years. In most other ways, these braces are exactly like the metal ones. Treatment includes a new set of aligners every two weeks as your teeth shift into alignment. Procedures may include attachments, or enamel-colored ridges that stick to your teeth like braces brackets. These attachments click into the Invisalign aligners to help the teeth move. Dr. Hage knows what a big difference a straighter smile can make in a person’s life. Not only does it help restore self-confidence, it makes it easier to practice proper oral hygiene so you have a healthy, beautiful smile for years to come. The staff at Hage Orthodontics also understand that each person’s situation is different that’s why they take the time to sit down with you and go over all your options. They will create the best plan for your particular needs. Maintaining your oral health is important so everyone at Hage Orthodontics will work with you to come up with an affordable plan. The staff is very compassionate and friendly and will always greet you with a smile. Call Hage Orthodontics today for a free initial consultation.